My wife made me this amazing Spider-Man cake for my 30th birthday. Just because I’m grown up doesn’t mean I’m “a grown-up”. I love her. For Labor Day, I’m thinking a Machine Man turnover. I present to you the Marvel Animal characters from What The–? #13. All hail glorious Moo Knight and Arf Angel! Nick Furry is a frightening concept for taking “cosplay” to a whole new level. Hogeye gets bonus points for eschewing the animal already in his normal name (“Hawk” eye?). Speedbull stands out by being a goofball (another Speedball parody name in its own right). The look on Punisheep’s face is stellar, though he can’t compare to Punfisher. More on Spider-Ham and Marvel animal characters will be coming soon! The What If Podcast returns to discuss Secret Wars of all ilks, but past (1984) and present as the Marvel Multiverse converges into a super-Battleworld? What?! Meat Mittens, Spider-Man’s symbiote, Black Bolt’s racist rants, and Dr. Doom stealing The Beyonder’s power. Here’s a quick study in coloring on the Amazing Amalgam, Spider-Boy 2099! What started out as a light pencil sketch didn’t scan too well, so some Sharpie and Pixlr gave it some color as I play with shading. I think I might do a couple more colors of the same sketch. 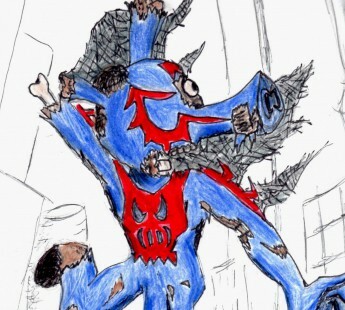 If you’re wondering what Spider-Boy 2099 is, check it out here. 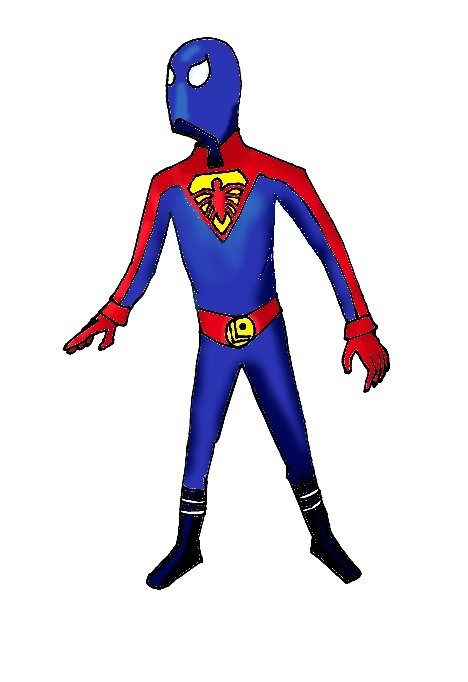 An alternate future of a meta-fiction crossover of Spider-Man and Superboy from 1997? Sign me up!